I am terrifically grateful that my growing years were under the eye of as loving and fair a father as anyone could hope for. 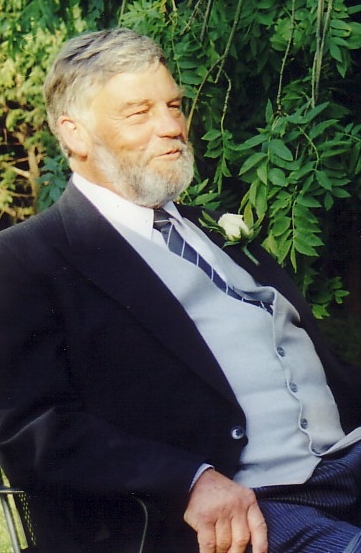 The qualities I most remember in my own father were his sense of fair play and equitability, his steady grasp on old fashioned concepts like “honour” and “loyalty” and even “duty”, and his absolute commitment to make loving his family the backbone of his life – this was never in question. Thankfully, he left me with a lasting impression of what true greatness is, that keeps me steady against the temptation of quick-fix-fame that parades itself as “greatness” in our time. From such a fortunate formative experience, I have gone on to find very few living men seemed to offer the same standard of fatherhood; and why should I expect it? My soul continues to crave heroes and mentors, nevertheless, and I think it may be a good moment to credit those from whom I have drawn my greatest inspiration over the years. My list of spiritual fathers includes two Biblical characters, a Persian poet, a jazz musician, and four authors. Every one of them has left enough of a legacy to influence the tides of my life and play a formative role even hundreds of years after their deaths. Each of them has helped me in some way to make sense of life and grow spiritually. From this Friday, I’ll be starting a new mini-series in place of “Foraging Friday”, since there is not much foraging to be had at this time of year. On “Fatherhood Friday”, I will be blogging about some of these people; so this is just a “heads up”. Are there any authors, thinkers or great men or women you have drawn upon for spiritual parenthood through your life?